Fope Silverfope Air Silver Palladium Size M Link Bracelet. 211AGBM. 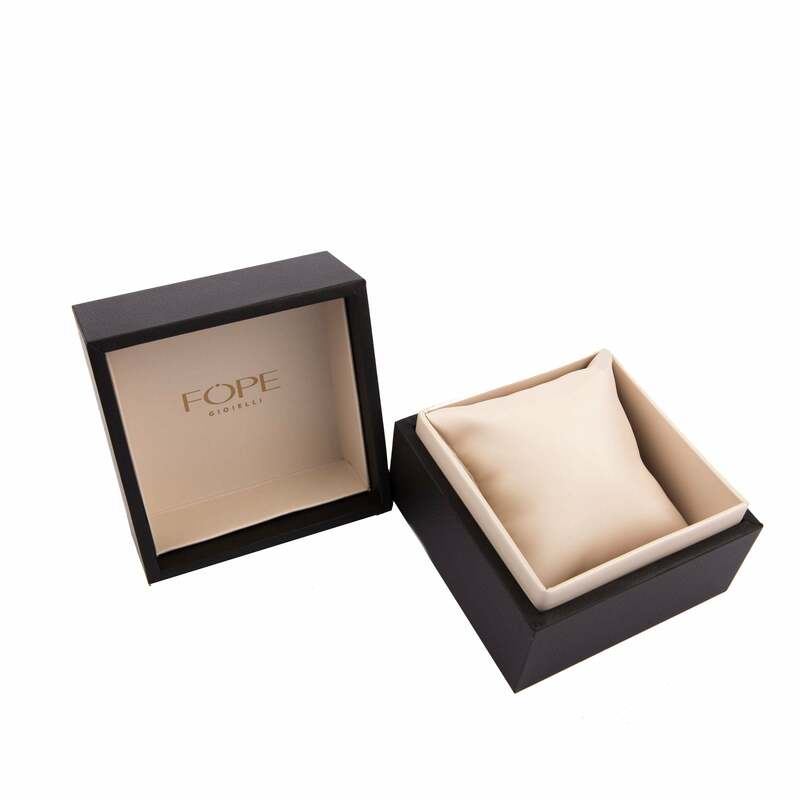 This Fope bangle is part of the Silverfope collection. Silverfopeó»s brilliant whiteness and shine are all natural. No chemicals are used to produce the special silver and palladium alloy, which keeps its beauty over time without oxidising. The quality is just as outstanding as Fopeó»s gold collections, not surprising since the jewellery is made using the same technologies by the same master goldsmiths. Silverfopeó»s effortless elegance goes with every style imaginable and can be worn at any time of day, creating truly exquisite effects. This bracelet is a simple but stunning piece that showcases finely crafted woven Sterling Silver and Palladium chain. It is flexible and clasp free and easy to take on and off.